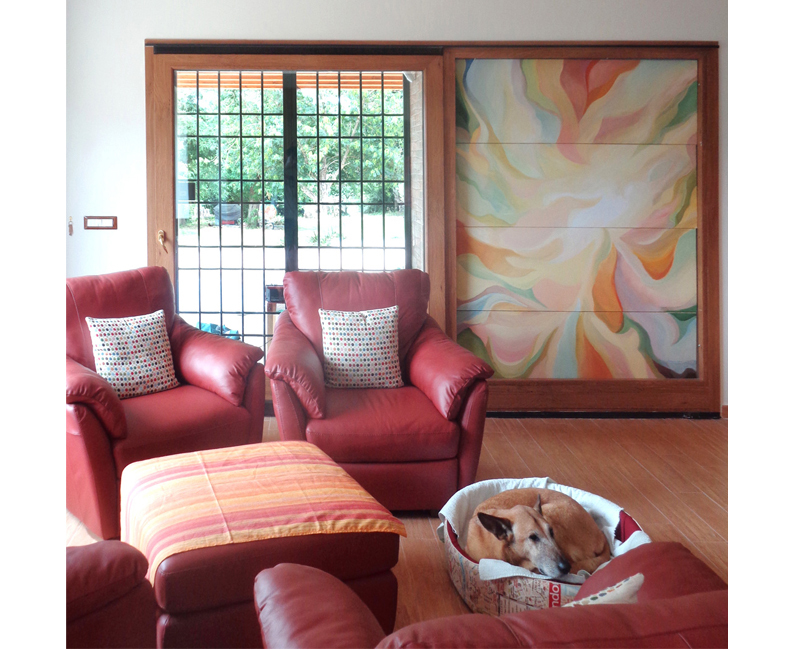 Teek traveled to Italy for July 2015 to complete a site specific abstract artwork for the lakeside residence of the Moschini & Collins Family on Lago di Vico. The client requested an abstract piece that responded to the surrounding landscape, a historic volcanic lake north of Rome. 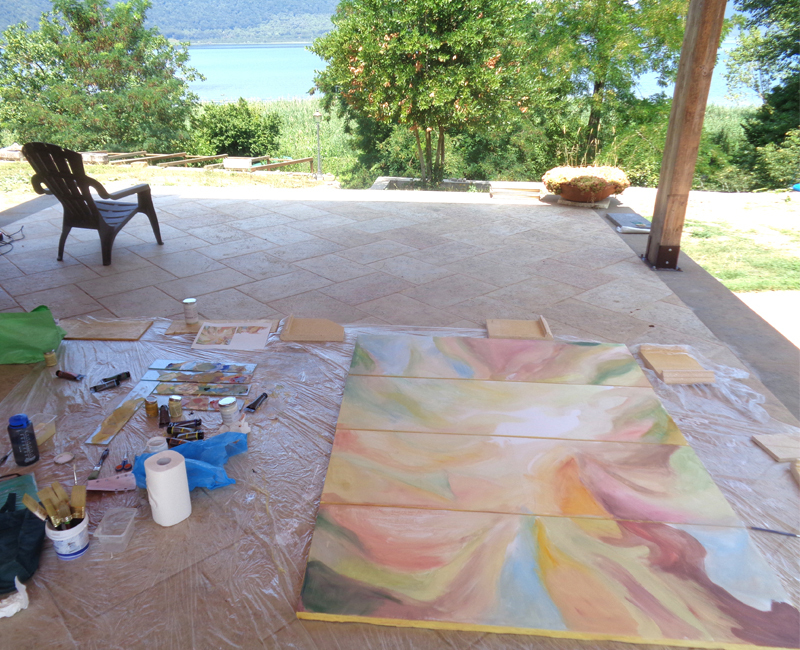 Teek completed a series of studies for client review and then painted a final work on site overlooking the lake. The work is inspired by the scenery, the cream and beige travertine used in the house construction, and the afternoon breeze that would blow up from the lake. The final work was completed on four custom panels and placed in a wood framed panel in the living area of the home. For this family, the Edgartown Lighthouse has been a touchstone of their family vacations to Martha's Vineyard for years. 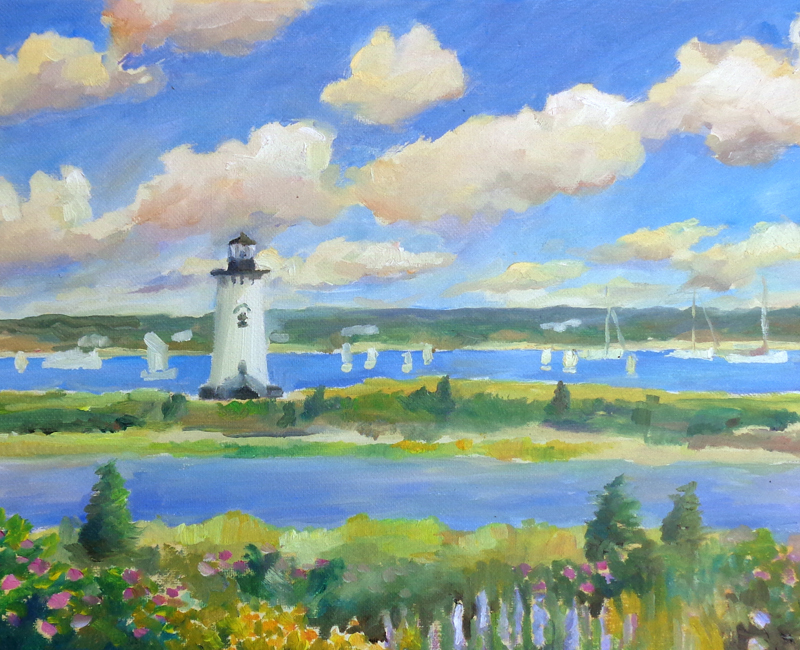 They requested a large painting that captured the lighthouse and outer harbor to be displayed in their Vineyard residence. Teek first created a small painting study that captured a beautiful summer afternoon with puffy cumulus clouds and a garden of summer flowers to be approved by the client. 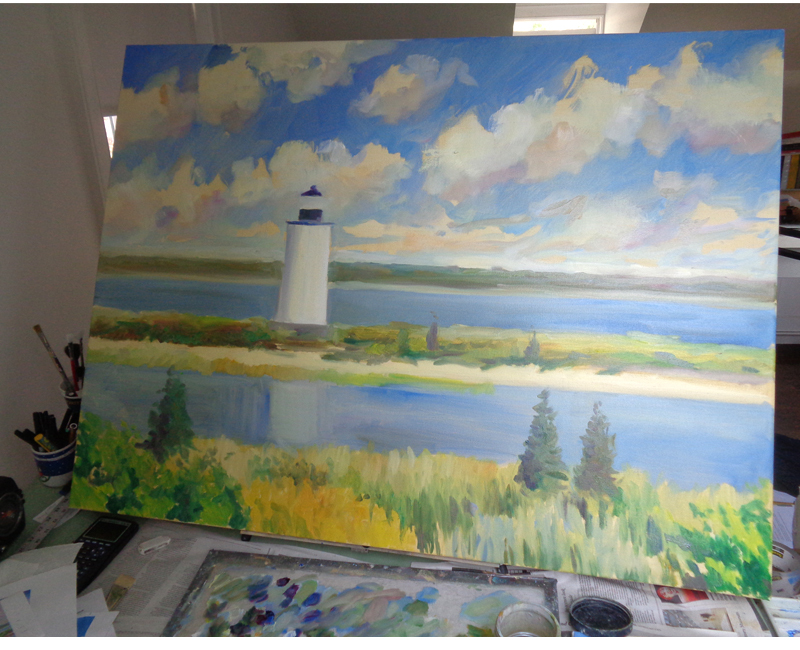 Then, a larger painting was made by gradually building up the layers of paint showing the sky, sea, beach, and lighthouse. It’s a natural phenomenon that only happens twice a year at Grand Central Terminal. The angle of the rising sun aligns perfectly with the central eastern window of the Main Concourse. A shaft of morning sunlight pierces through the window striking the Information Booth and immediate surroundings. The shaft of light recalls photos of the terminal from the early 20th century where rays of sunlight passed through the southern exposures of the concourse. Today, the perfect alignment only happens twice a year, after the fall equinox in October, and before the spring equinox in the middle of March. The client frequently travels into Manhattan via Metro North Railroad and wanted a unique piece that captured the Main Concourse.